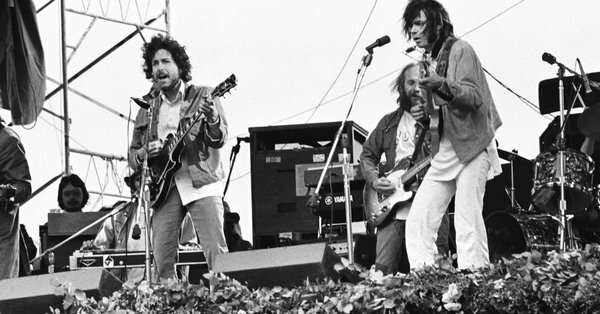 Bob Dylan and Neil Young played together on March 23rd, 1975, for Bill Graham’s benefit concert Students Need Athletics, Culture and Kicks (SNACK) show at Kezar Stadium in San Francisco. The songs performed were “Helpless” and “Knockin’ on Heaven’s Door” with mebers of both's bands including Levon Helm, Rick Danko and Garth Hudson of the Band along with Tim Drummond and Ben Keith from the Stray Gators. 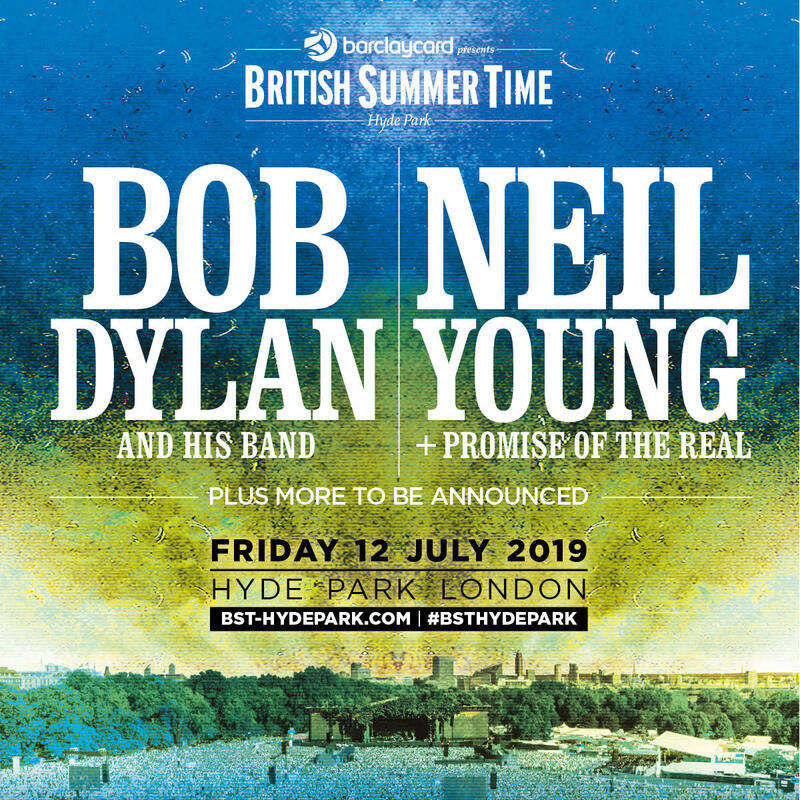 More on the upcoming Bob Dylan & Neil Young Concert: Hyde Park, London - 12 July 2019. More on The Fascinating Saga of Bob Dylan and Neil Young. This Hyde-Park Concert obviously is not going to happen (as per NYA and Neil Young) because Neil Young objects to Barclays Bank being the sponsor of the event. Stand and be counted, Mr. Zimmerman.